For professional home building and pole barn construction in Grinnell, Iowa, you can count on Greiner Buildings. For the past 25 years, we have been the number one custom building company in the Midwest. 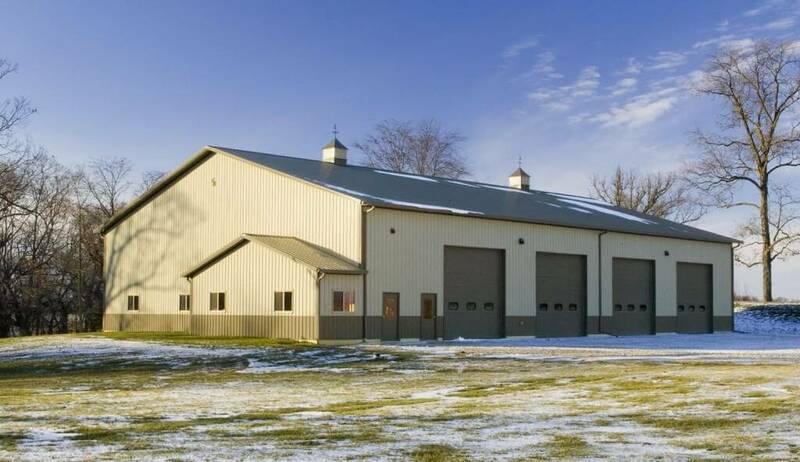 Whether you are looking to build a hoop barn, metal building, steel frame structure, or fabric span building, our professional team can provide you with a free estimate. Greiner Buildings also offers 2D and 3D CAD Designs so that you can visualize your building before we begin construction. 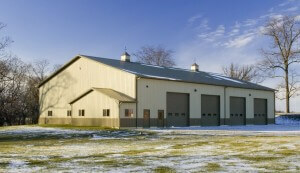 Lately, the demand for hobby shop buildings and pole barn homes as been rapidly increasing in the Midwest. The need for a custom designed residential space with an attached hobby shop was essential. Greiner Buildings invented the Shome™ – a perfect combination of shop and home. This modern building is a fully equipped shop attached to a complete living space, so that residents can easily transition from work to home life. Greiner Buildings is an authorized dealer of Star Building Systems® steel frame buildings and Span-Tech® fabric covered hoop buildings. Many local contractors rely on us for General Contracting and Building Project Management as well. Give GB a call today to learn more about the services we offer in Grinnell, IA and the surrounding area.